The second edition of the Valletta 2018 project l-Ikla t-Tajba will be offering the public a taste of original street food inspired by local staple dishes at Notte Bianca, for the second consecutive year. 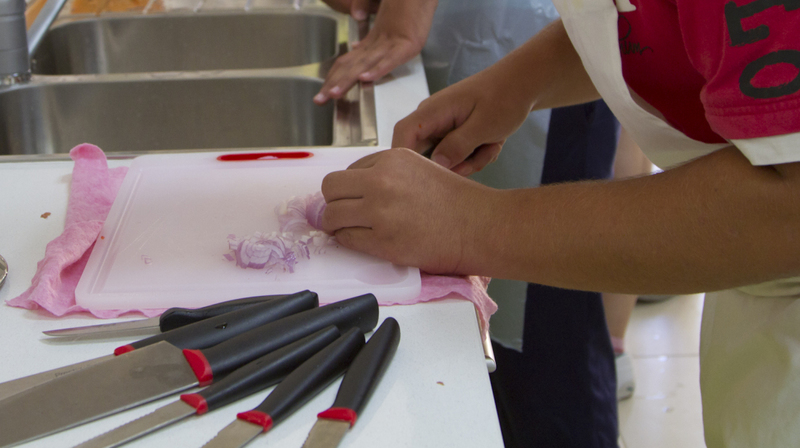 L-Ikla t-Tajba is once again led by London-based chef David Darmanin who is this year coaching a group of young aspiring cooks in the Maltese culinary tradition and more. The participants were asked to create their own original recipes using local, fresh Maltese ingredients with the view of eventually preparing and serving these dishes during the 2015 edition of Notte Bianca on the 3rd October. Participants, coming from the inclusive education programme Youth Inc. run by Aġenzija Żgħażagħ, are divided into teams putting together a varied and creative menu full of tasty food which fuses different cuisines and local ingredients. Valletta 2018 Chairman Jason Micallef said: “l-Ikla t-Tajba is an investment in the future of these young people who have acquired new skills which will benefit them in daily life. The project also celebrates fresh food prepared on the basis of original recipes and quality, local produce”. David Darmanin said that once again this was a successful multi-faceted experiment. “This experience will remain with them and will hopefully serve as an inspiration for the future because food not only brings people together, it also inspires them,” he said. London-based chef Nicole Pisani will this year form part of the group of foreign guest chefs including Luca Bevere, Maria Paola Bruni and Thomas Fletcher, who will be heading the four young teams at l-Ikla t-Tajba during at Notte Bianca. The young cooks have come up with a menu featuring some curious surprises like the fusion cuisine of the Vietnamese spring rolls with local red prawns or the Ftizza – a pizza using traditional ftira dough and stuffed with rosemary, artisan Maltese sausage, local tomato sauce, caramalised onion and fresh ġbejna.